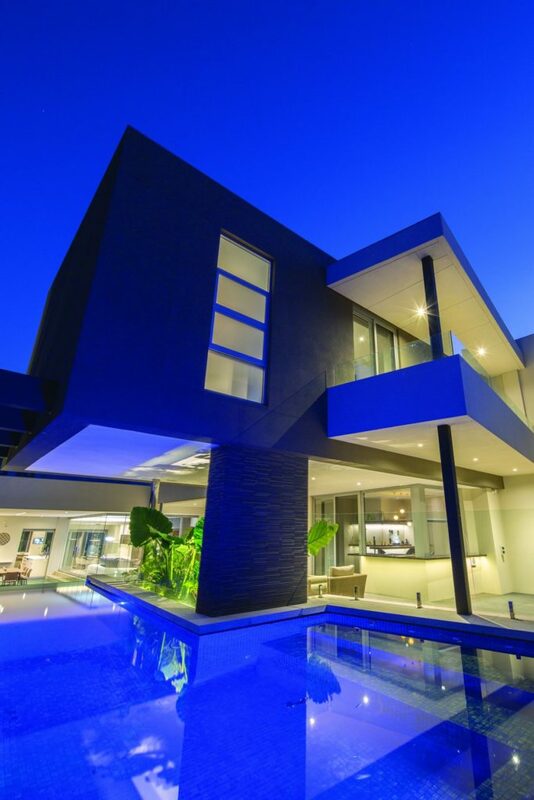 This striking contemporary home was recently awarded the Bankwest Top WA Home at the 2018 Master Builders Association WA awards, counting number eight of this prestigious award for custom home builders A. 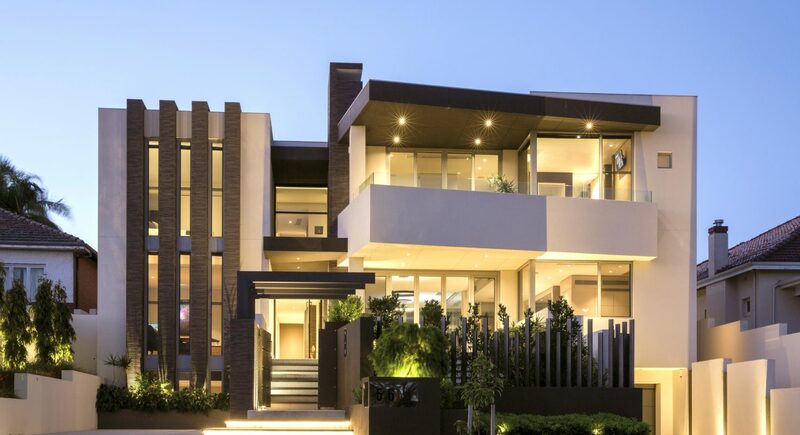 Di Bucci& Son, who have built a reputation as WA’s most awarded builder. 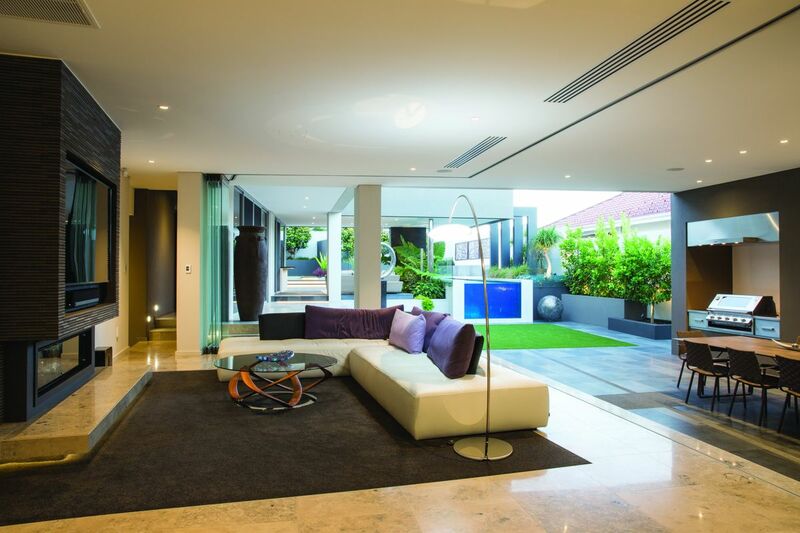 At three storeys plus a roof-top deck which takes advantage of city views, the home already has an imposing street presence. 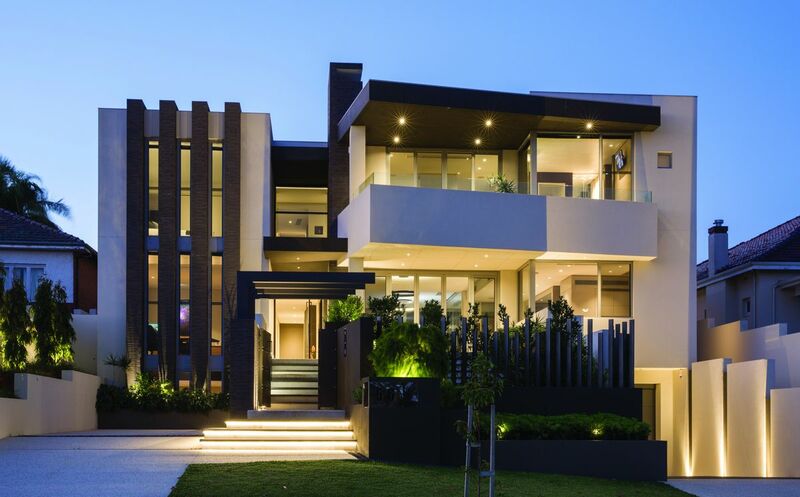 Add to this, angular lines, three tones of render and luxurious Japanese stone cladding, plus a custom designed copper gate and the front façade is quite a traffic-stopper – especially at night when it is beautifully enhanced by expertly placed architectural lighting. Walking through the grand pivoting entry door, the outstanding craftsmanship that has gone into this beautiful home is immediately apparent. 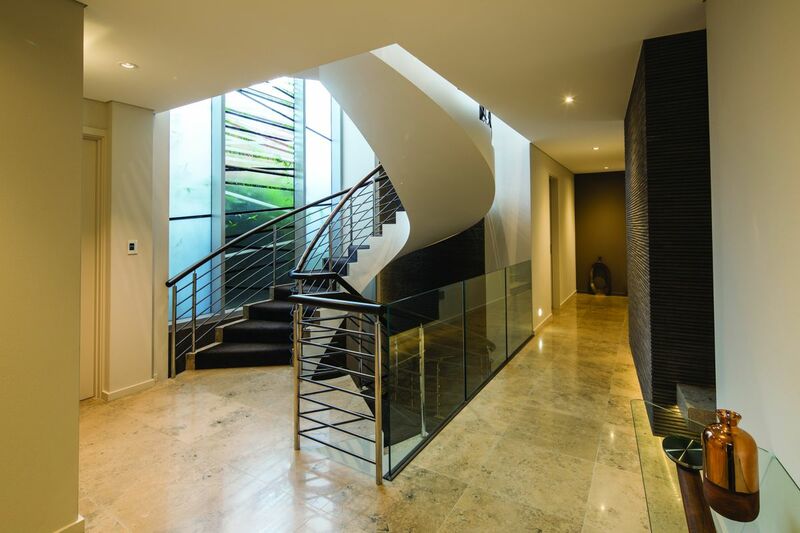 A stunning curved staircase with custom finished metal balustrading connects the lower level 10 car garage complete with turntable to the living areas at mid-level and bedrooms on the upper floor. 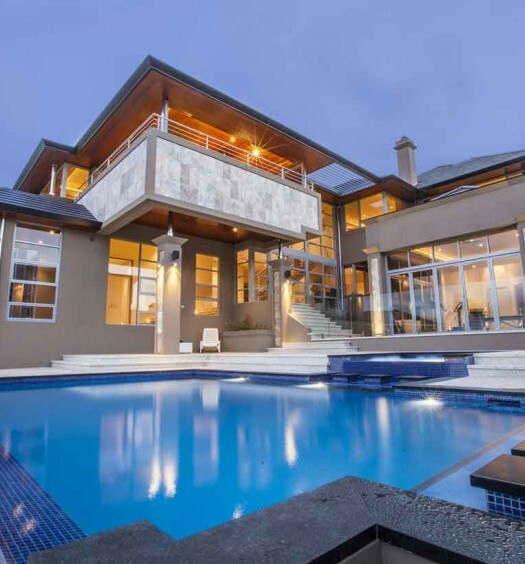 With 5 bedrooms, 6 bathrooms and 3 powder rooms the home is expansive to say the least. 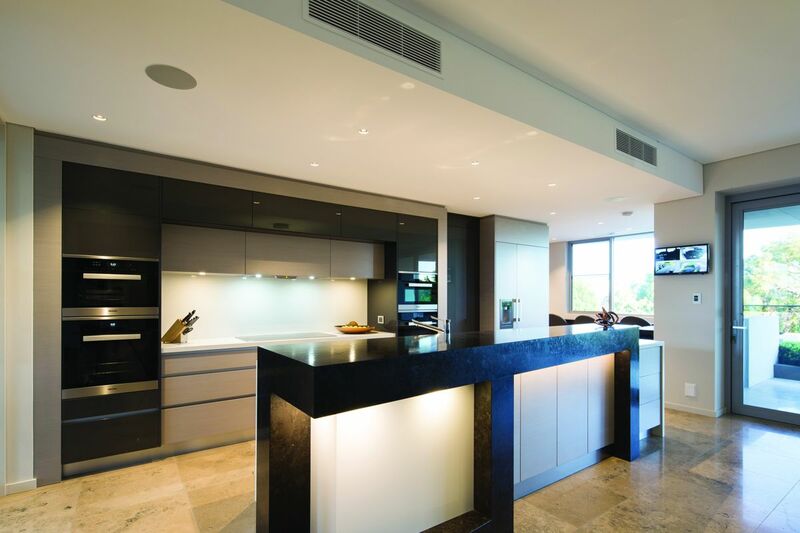 Under-floor heating warms the luxurious large-format stone tiles that extend through the open plan living areas on the main level, incorporating the dining, kitchen and scullery, bar and living area. 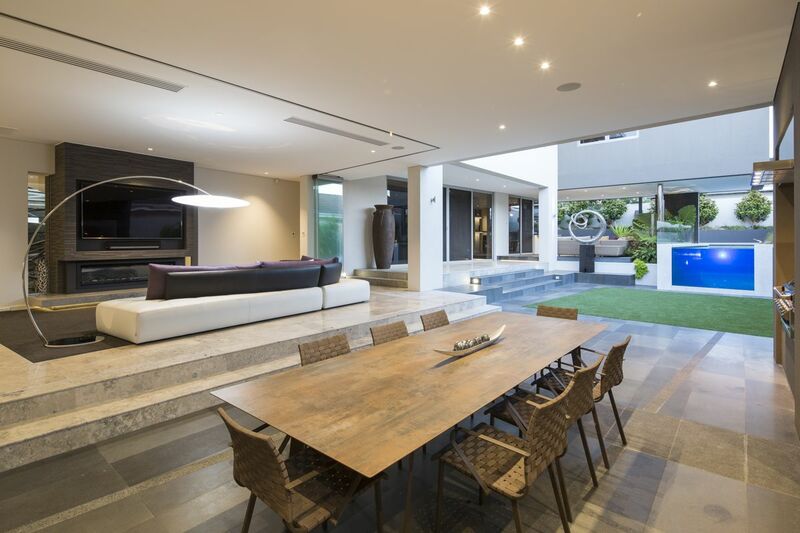 The living area has been cleverly raised which creates a separation of space and intimacy whilst enjoying the gas fireplace, however, the entire area can be fully opened up thanks to a 3 metre high glass wall, created by stacking bi-folding doors that when full opened seamlessly connect the interior to the outdoor entertaining area. 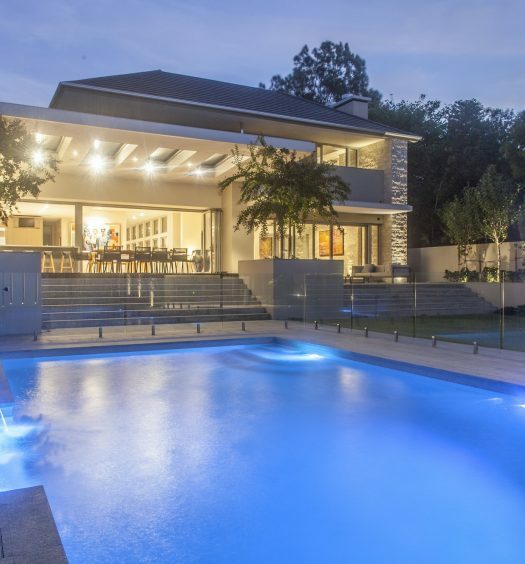 Outstandingly equipped for modern living, this home has been fully automated. 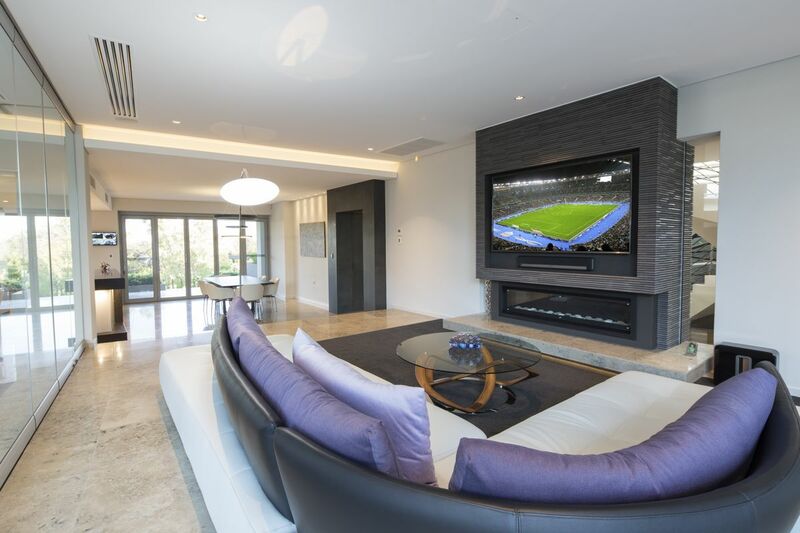 Every light and appliance including, blinds, CCTV, audio entertainment and air conditioning systems can be controlled through the C-Bus via touch screens and iPad launch pads found throughout the home. 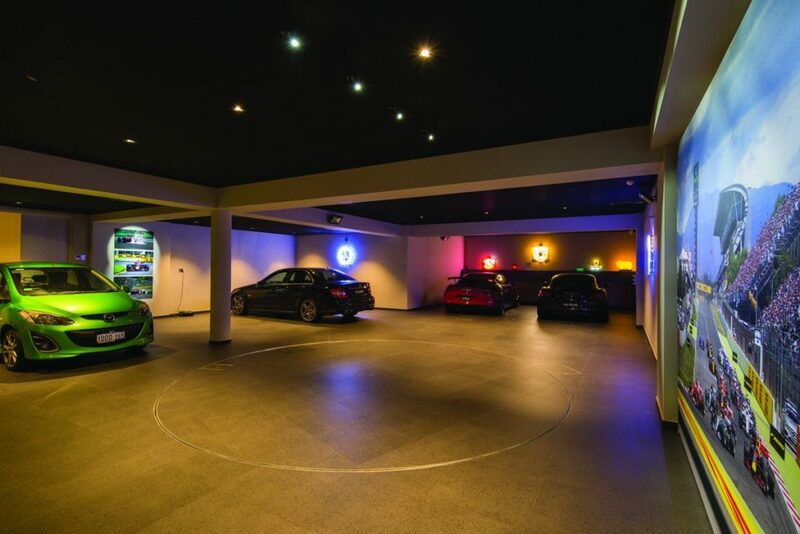 Nowhere however is the exceptional quality of the home more evident than in the theatre room where specially located sound baffles and ceiling acoustic tiles contribute to a true theatre experience. 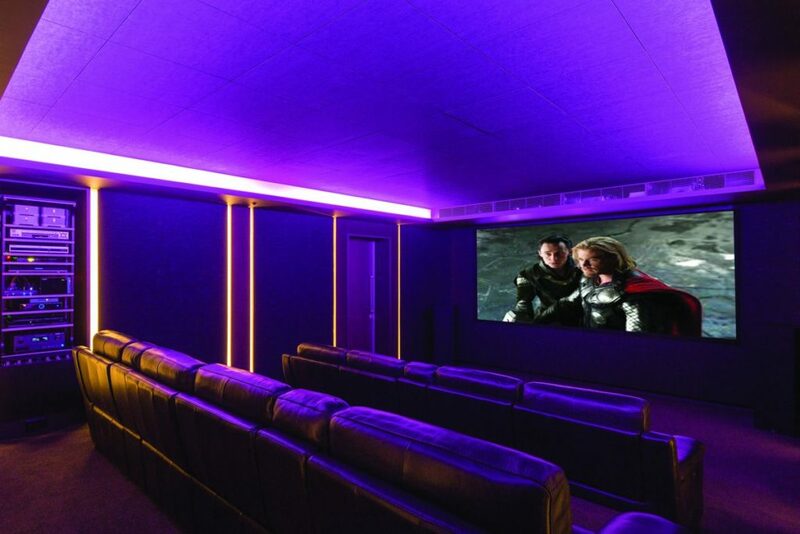 Snaptexacoustic fabric panels line the walls, concealing speakers, whilst strategically located channels fitted with LED strip lighting create a stunning ambience in the room. 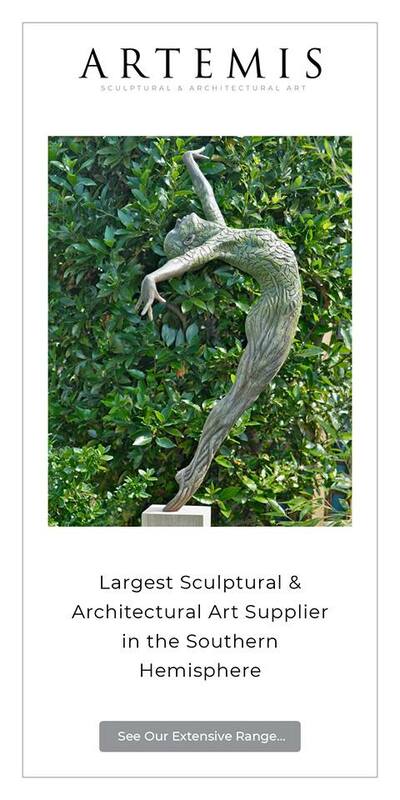 Through and through this is a beautiful home of outstanding quality and craftsmanship that is the hallmark of an A.DiBucci & Son home. This stunning home is just one of many exceptional homes featured in our 2018 edition of WA Custom Homes – get yours here.